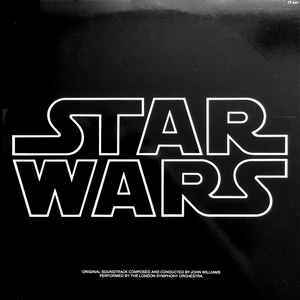 Published By – Fox Fanfare Music, Inc.
Has two inserts with the film and the music history for this story also on insert is the list of each instrument and its performer and includes a blank mail-in order form (2T-541) for an official STAR WARS T-shirt. Other copies of this exact same version (cover, cat.nr. and labels) were distributed without the mail-order form and only one insert (film and the music history on one side and a list of each instrument and its performer on the other side), but included a large fold-poster [see images]. Sides 1 and 4 are on Disc 1. Sides 2 and 3 are on Disc 2. Cat# 2T-541(0898) on spine of gatefold cover. Recorded over eight sessions at Anvil Studios in Denham, England on March 5, 8-12, 15-16, 1977. Mastered and pressed at the Mastering Lab in Los Angeles, California, 1977. Does this version include the fold out poster of the death star? I believe this is the release that I have. I have the poster but no tee shirt form.